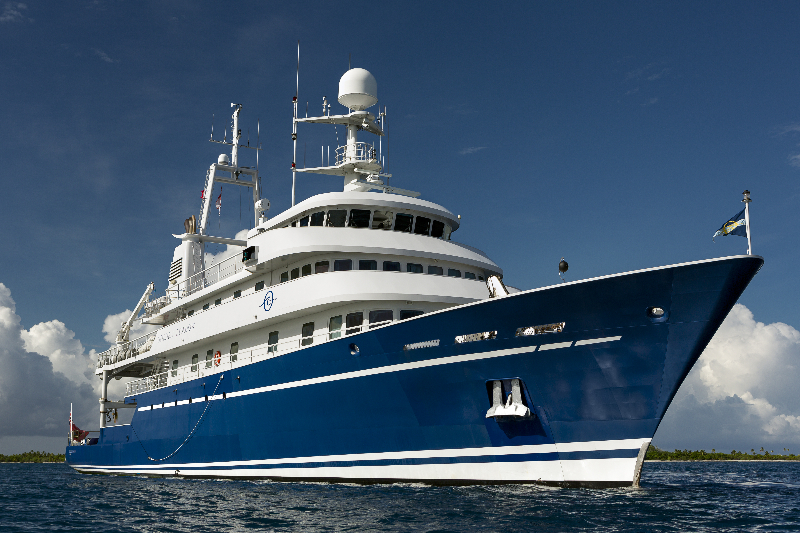 The M/Y Golden Shadow is the 220 foot research vessel that we use for deep sea exploration and marine research. 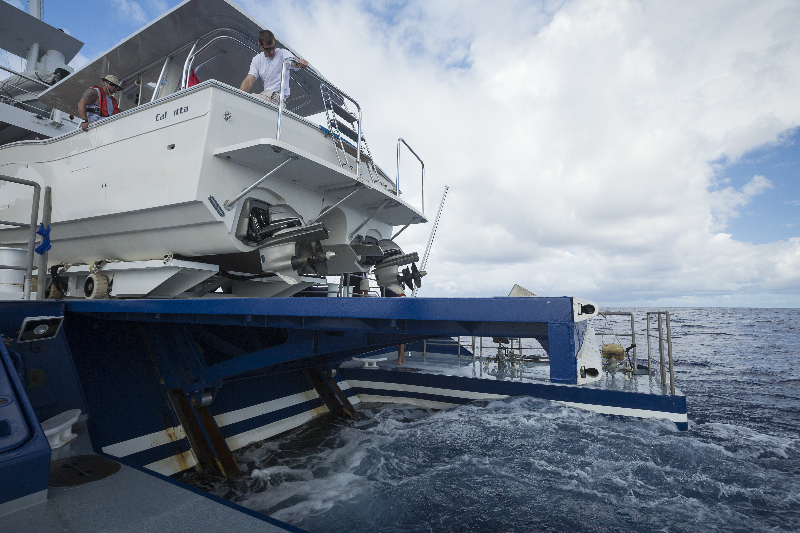 One of its most important features is its stern elevator platform, which has the capacity to lift up to 12 tons and is used to launch and recover our dive boats and seaplane. 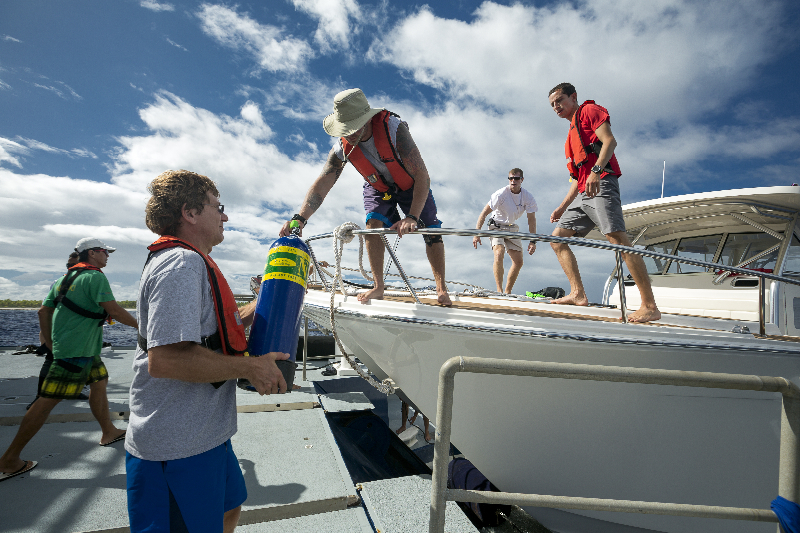 The platform is invaluable for scuba diving access and recovery during rough seas. 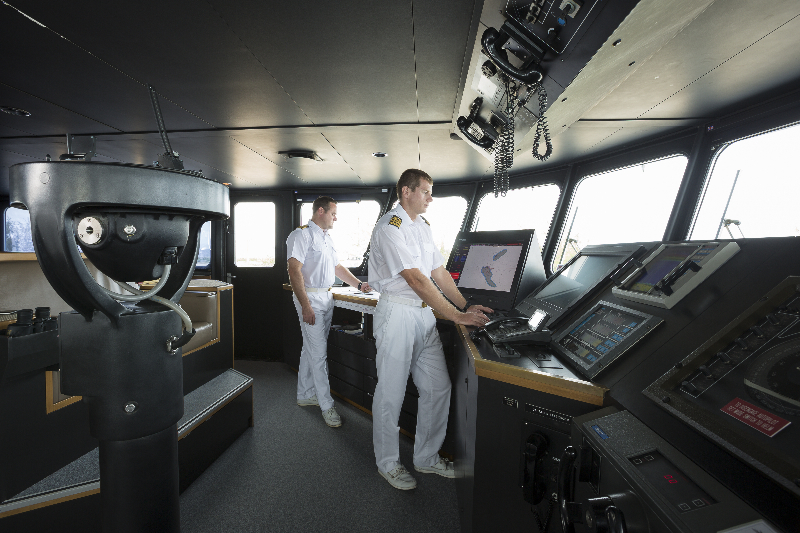 To ensure the safety of visiting divers, the ship has a recompression chamber which is capable of accommodating one casualty and one medic. 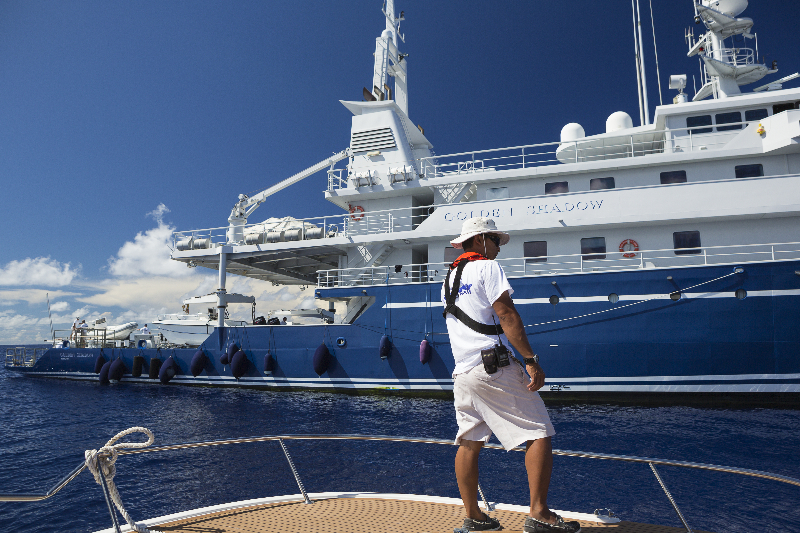 In case of emergencies fully qualified medical staff are on board on all of our dive expeditions. 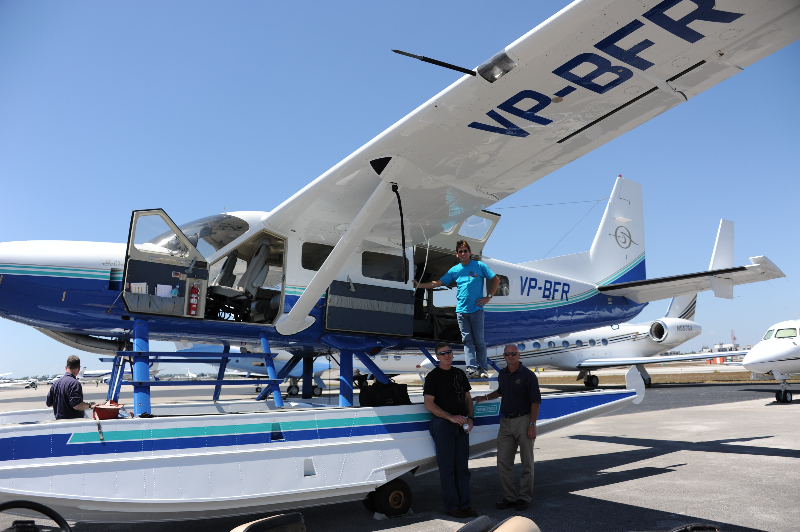 For many of research missions we have used the Golden Eye, a Cessna Caravan 2008 Amphibious Aircraft, capable of landing on water or land. 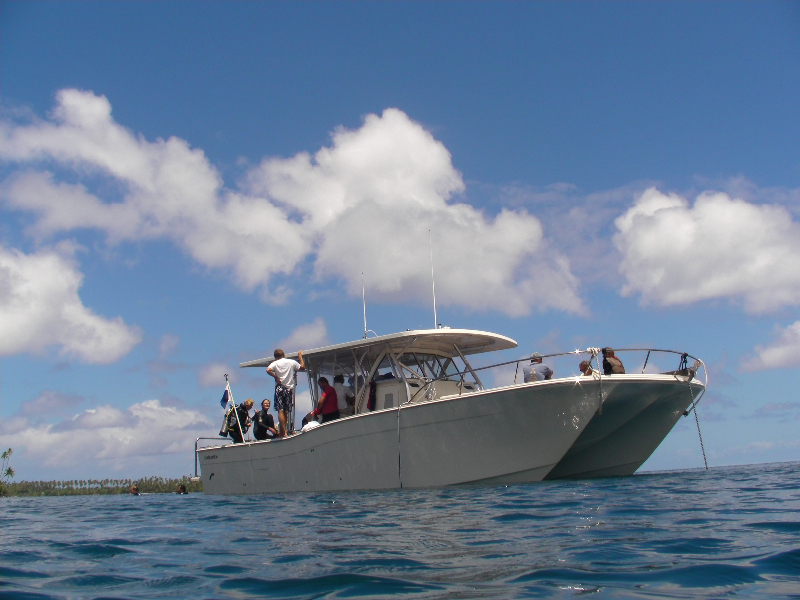 The aircraft is outfitted with a sophisticated imaging sensor to conduct remote sensing over shallow water coral reefs, and can carry up to 11 passengers and 2 pilots at once. 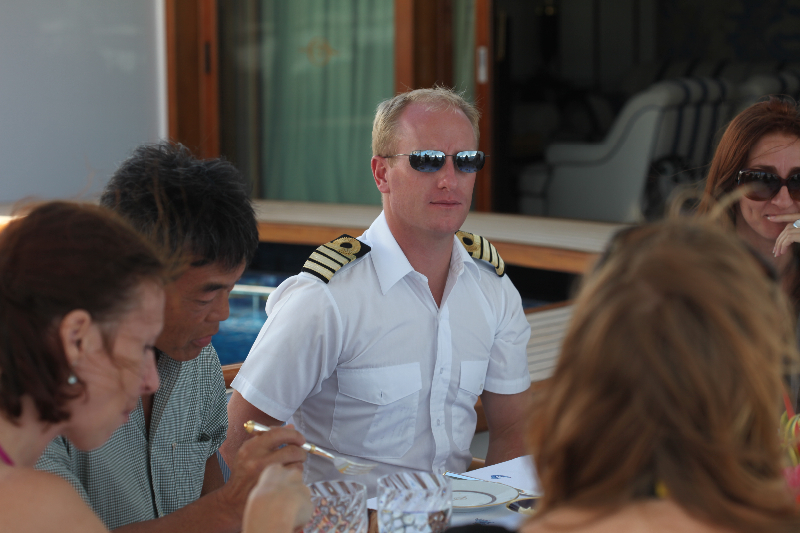 All of our research is superbly supported by the officers and crew of the Golden Fleet under the leadership of Captain Mike Hitch. 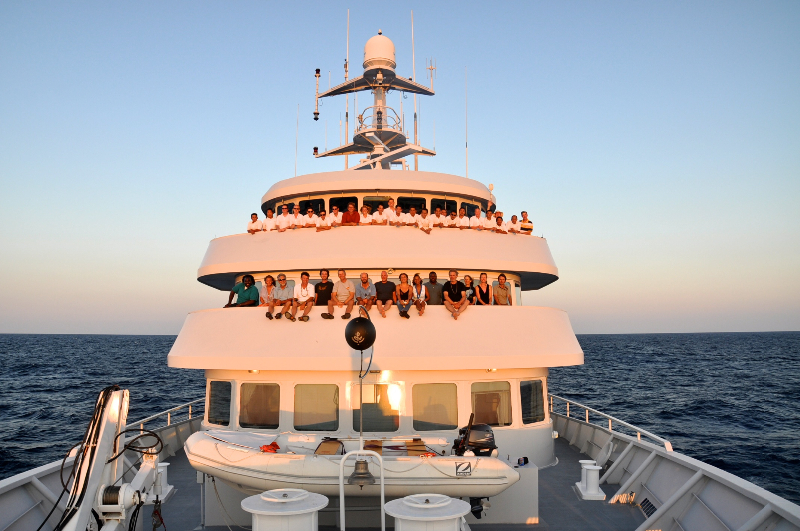 The expert team on board the M/Y Golden Shadow, led by Captain Steve Breen, plan and carry out our ship based itinerary, steering us through every port and remote reef along the way.